What are the signs and symptoms of brain lesions? What is the treatment for brain lesions? What is the prognosis for brain lesions? The brain is perhaps the most important organ in the body, responsible for the unconscious autonomic activities like breathing, blood pressure and temperature control, sensation, movement, and thought process. Each area of the brain has a responsibility for brain function. A brain lesion describes an area of damaged brain. It may be isolated or there may be numerous areas affected. Symptoms of a brain lesion depend upon what part of the brain is affected and may be minimal or life-threatening. Diagnosis of brain lesions begin with a careful history and physical examination of the affected individual. The brain may be imaged in a variety of ways including CT, MRI and angiography. Treatment and prognosis of brain lesions depend upon the underlying illness or injury, and the amount of damage sustained by the brain. The brain is responsible for regulation the functions of the body, from the unconscious (controlling blood pressure, heart rate and respiratory rate) to the conscious acts like walking and talking. Add the intellectual processes of thought and the brain is a busy part of the human body. The brain has many parts. The cerebrum consists of two hemispheres which are responsible for movement, sensation, thought, judgment, problem solving, and emotion. The brain stem sits beneath the cerebrum and connects it to the spinal cord. The brain stem houses the structures that are responsible for the unconscious regulation of the body such as wakefulness, heart and lung function, hunger, temperature control, and swallowing. The cerebellum is located beneath and behind the cerebrum and is responsible for posture, balance, and coordination. While the brainstem is important in maintaining body function, the cerebrum allows body motion and most importantly, is responsible for all the things that make humans special, like thinking and emotion. There are four lobes in each hemisphere: frontal, parietal, temporal, and occipital. Frontal lobe is the area responsible for personality and movement. The pre-frontal portion is perhaps the most evolved part of the brain and specifically allows judgment, planning and organization, problem solving, and critical thinking. This is the area that gives us the ability to feel emotion and have empathy. Finally, this is where impulse control resides. Parietal lobes are where sensation is processed and interpreted. Aside from touch, pressure and pain, there is also the concept of spatial cognition, where the brain recognizes where the body is in relationship to the area around it. Temporal lobes are where the functions of memory, speech, and hearing are located. Occipital lobes are where vision is located. Brain cells use glucose almost exclusively for their energy needs and unlike other organs in the body, the brain cannot store glucose for future use. If blood sugar levels fall, brain function can be immediately compromised. The brain gets its blood supply through four major arteries, the right and left carotids and the right and left vertebral arteries. They join together at the base of the brain at the Circle of Willis. Smaller blood vessels then branch out to provide oxygen and glucose rich blood to all regions of the brain. The brain is composed of billions of cells that use chemicals and electricity to communicate between themselves and the rest of the body. There are two major types of cells, neurons and glial cells; there are subtypes of these cells. Neurons are the cells that process and transmit information in the brain. Each cell has two connectors, the axon and dendrite. The axon of one neuron connects with the dendrite of another at junction or synapse. Special chemicals called neurotransmitters help transfer the electrical impulse across the synapse so that one neuron can excite another. Glial cells are located between neurons and help support their activity. Microglial cells are part of the immune system within brain tissue helping clear dead cells and other debris. Astrocytes help clear neurotransmitter chemicals so that the synapse can be ready to react to the next signal that might arrive. Oligodendrocytes produce and maintain the myelin sheath that coats and insulates the axon making electrical conduction more efficient. Ependymal cells produce CSF (cerebrospinal fluid) which is located within the ventricles of the brain and in the subarachnoid space that surrounds the brain and spinal cord. Aside from allowing the brain to float in the skull, CSF acts as a cushion against trauma and also helps wash away some of the metabolic waster protects that are produced with brain function. A brain lesion describes damage or destruction to any part of the brain. It may be due to trauma or any other disease that can cause inflammation, malfunction, or destruction of a brain cells or brain tissue. A lesion may be localized to one part of the brain or they may be widespread. The initial damage may be so small as to not produce any initial symptoms, but progresses over time to cause obvious physical and mental changes. A brain lesion may affect the neuron directly or one of the glial cells thereby indirectly affecting neuron functions. Trauma is the most widely recognized cause of an acute brain injury. Bleeding or swelling within the skull can directly damage brain cells or the pressure that can build within the skull can compress the brain and compromise its ability to function. Trauma can also damage the brain on a microscopic level. Shear injuries describe damage to the synapse connections between brain cells decreasing their ability to communicate with each other. Recent reports have linked concussions to the gradual destruction of brain cells that can affect personality and thinking. Inflammation within brain tissue can affect function. This inflammation may be due to infections that cause meningitis and encephalitis. Other infections may cause discrete changes within the brain tissue. Neurocysticercosis, for example, is the most common cause of epilepsy in the developing world; the parasite causes small calcifications that are scattered throughout the brain. Infections may also form abscesses within the brain that can lead to symptoms. Inflammatory and autoimmune diseases that may affect brain function include sarcoidosis, amyloidosis, inflammatory bowel disease and rheumatoid arthritis. Some of the brain damage may be caused by inflammation to the blood vessels in the brain, which causes strokes. Certain diseases affect only specific cells within the brain. For example, the symptoms of multiple sclerosis are caused by damage to the glial cells that manufacture and maintain the myelin sheath that insulates axons. Without this normal nerve covering, electrical transmission is compromised and symptoms may occur. Alzheimer's disease and other dementias occur when neuron cells are affected and die prematurely. Stroke or cerebral infarction (cerebral=brain + infarction=loss of blood supply) describes the condition where blood supply to part of the brain is lost and and the brain stops functioning. There are numerous reasons for blood supply to decrease. There may be gradual narrowing of an artery to part of the brain, blockage may occur should debris from a diseased carotid artery break loose, or a clot may travel or embolize from the heart. Bleeding may occur from a cerebral aneurysm or arteriovenous malformation or because of uncontrolled hypertension (high blood pressure). Tumors that originate from brain cells or those that metastasize from other organs can affect brain function in two ways. Thetumor can destroy brain cells so that their function is lost, or the tumor can take up space and cause pressure and swelling that affects brain cell function. This may occur with benign or cancerous tumors. Common tumors that arise from the brain include meningiomas, adenomas, and gliomas. Pituitary adenomas are common benign tumors that grow in the sella tursica, where the pituitary gland sits and near where the optic nerves travel from the eyes to the occiput in the back of the brain. As the tumor grows it can push on the optic nerve and cause visual changes and blindness. Glioblastoma multiforme, a malignant tumor is the most common type of astrocytoma that arises from astrocytes and is a glioma. Victims of this tumor include Senator Ted Kennedy, George Gershwin, and Ethel Merman. Cerebral palsy describes the condition where a developing infant's brain is deprived of oxygen and fails to develop normally. This may occur in the uterus before birth or may be due to an injury or illness that happens within the first couple of years of life. Often it is an infection or bleeding that is the cause, though many times the reason for cerebral palsy is never found. Genetic: Lesions related to a person's genetic makeup, such as people with neurofibromatosis. Plaques: Some investigators suggest that abnormal deposits of material that form plaques may be a type of disease that causes damage and eventual brain cell death in diseases like Alzheimer's disease. Multiple types: The type of lesion depends upon its cause and symptoms depend upon its location and amount of brain irritation or damage that has occurred. Some brain lesions types may occur from more than one cause, such as Alzheimer's disease that may be related to plaque formation, brain cell death, and possibly genetics. Research is ongoing and is likely to provide better insights into these various brain lesion types. Symptoms of a brain lesion depend upon what part of the brain is affected. Large parts of the brain can be involved in some diseases and there may be relatively few symptoms. Alternatively, very tiny lesions may be catastrophic if they occur in a critical part of the brain. For example, the reticular activating system (RAS) is a tiny area located within the brainstem that is effectively the master on/off switch of the brain. If a midbrain stroke affects this area, the result is permanent coma. A patient needs the RAS and one functioning hemisphere of the cortex to be awake. If the patient is unconscious, then the RAS isn't working or there is significant damage to both sides of the brain. Affected speech (if there is damage to Broca's area) Speech includes saying and understanding words. If any of these symptoms arise suddenly, the person should be evaluated immediately, usually in an emergency department that is well equipped (CT scanner, MRI, easy access to neurosurgeons and neurologists). Do they come and go or are they constant? ave they progressed over time? Depending upon the circumstances, the patient may not have insight or may not remember the symptoms or complaints, and it may be up to a family member, caregiver, or friend to supply the appropriate information. 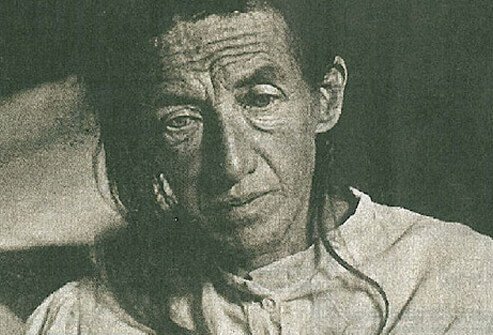 Past medical history of the patient, exploring associated symptoms and complaints may be helpful in determining the diagnosis. Physical examination is very helpful in trying to localize a potential brain lesion. A careful neurologic exam may be useful in finding weakness, change in sensation (including light touch, pain, vibration, and position sense), and coordination. Mental status, agility, other organ systems are often assessed. For example, patients who have an irregular heart rate called atrial fibrillation are at risk for stroke. Stroke risk may also be increased in patients with carotid stenosis and the health care practitioenr may listen over the neck for a bruit (an abnormal sound made by blood rushing through a narrowed carotid artery). 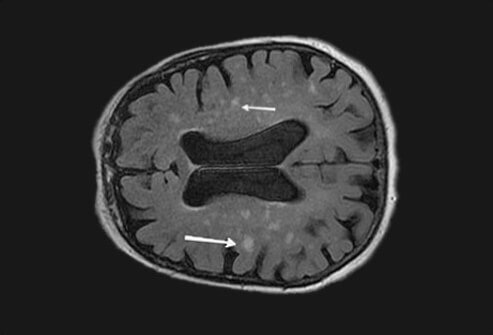 Depending upon the clinical situation, imaging of the brain such as computerized tomography (CT) andmagnetic resonance imaging (MRI) may be useful in making the diagnosis of a brain lesion. Angiography can be added to either CT or MRI to visualize the blood vessels in the brain. Lumbar puncture (spinal tap) is often considered to evaluate the cerebrospinal fluid (CSF) for infection, bleeding, or abnormal proteins; depending upon the clinical situation. Blood tests are usually preformed, to explore any illnesses that can also involve the brain. Avoiding radiation and environmental toxins may reduce the chances for brain cancer development. The prognosis for surviving and recovering from a brain lesion depends upon the cause. In general, many brain lesions have only a fair to poor prognosis because damage and destruction of brain tissue is frequently permanent. However, some people can reduce their symptoms with rehabilitation training and medication. A few brain lesions may have a good prognosis if only a small amount of less vital brain tissue is involved and/or early interventions are successful (for example, surgical removal of a small benign tumor, early effective antimicrobial treatment of meningitis, or transient ischemic attack [TIA or mini-stroke]). Unfortunately, some brain lesions are relentless, progressive and ultimately have a poor prognosis (for example, Alzheimer's disease). If you or someone you know were diagnosed with brain lesions, what is the cause? What signs or symptoms led to testing for and a diagnosis of brain lesions? Depending on the diagnosis, what is the treatment for your brain lesions? How was your brain lesion diagnosed?